The IPCC has told us we have 12 years to turn this ship around. 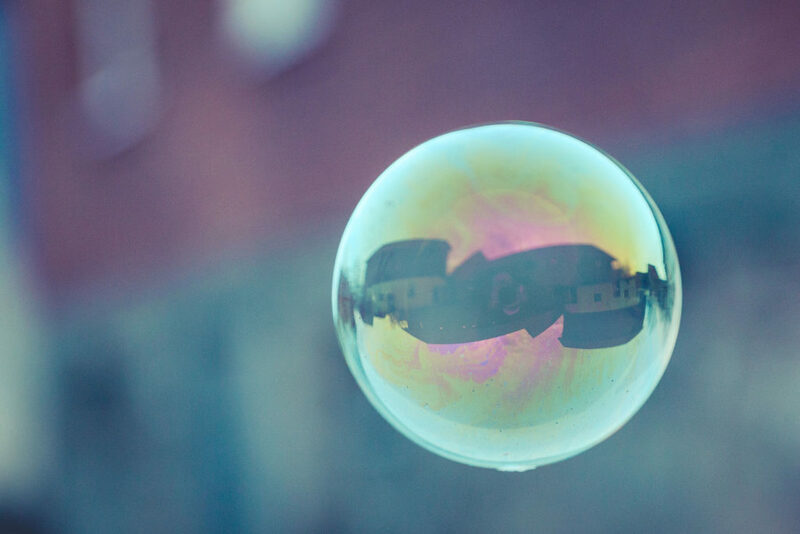 At Quantis, we say “Challenge accepted!” While some companies have blazed ahead setting ambitious science-based targets and context-based goals, a number of companies are (just now) starting off in earnest to build a robust environmental strategy. If you’re ready to accept the challenge, here’s how to get started. We’ve kicked off the new year with a webinar series to guide you through the three strategic phases of a robust, science-aligned corporate sustainability journey. Quantis and partners IKEA, WWF, WRI and CDP share strategic insights and practical tools in the ‘Ready > Set > Go Beyond’ series. Watch the first webinar and save your seat for the next two here. Imagine running your company without a financial budget. Managing a sustainability strategy without a corporate footprint presents the same problems. The first phase of an environmental strategy journey is to determine the greenhouse gas (GHG) impacts, risks and opportunities in your value chain. This assessment will gather the data you need to give your C-suite a strong business case for bold climate action. Starting with a focus on climate goals, i.e. reducing carbon emissions, allows you to tackle the most urgent reduction need. Imagine running your company without a financial budget. Managing a sustainability strategy without a corporate footprint presents the same problems: What is your baseline? Where should you focus efforts? 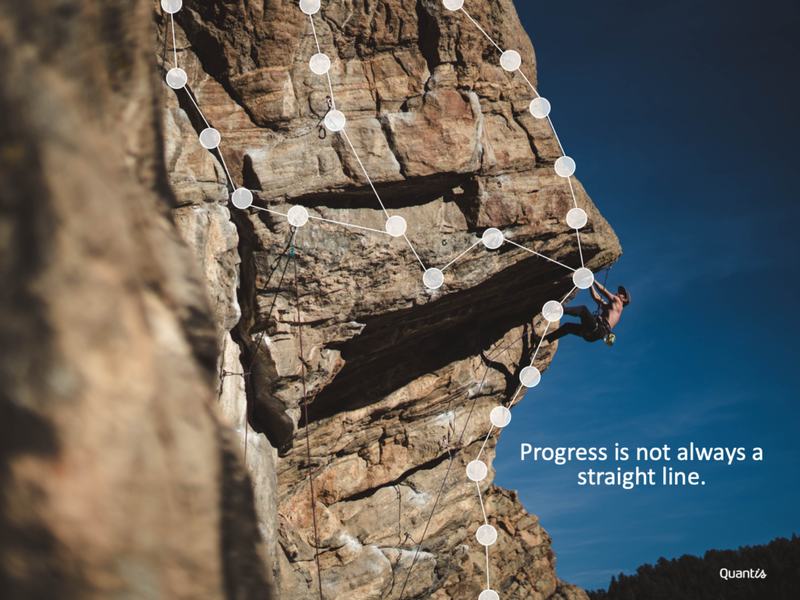 How will you monitor progress? How do things connect? If companies want an accurate picture of their GHG impacts, a corporate footprint has to include a scope 3 assessment. Scope 3 is a Corporate Value Chain Accounting and Reporting Standard from GHG Protocol. Scope 3 emissions are all of the indirect upstream and downstream emissions that occur in the value chain, excluding indirect emissions associated with power generation (scope 2). (Learn more about corporate footprinting.) While some companies can feel intimidated by the idea of looking beyond their perceived “control zone,” a scope 3 assessment guides decision making by showing companies where they should focus efforts and allocate budget as well as providing opportunities for engagement with suppliers and customers. A corporate sustainability journey is like rock climbing; sometimes you’ve got to move to the right, to the left, or take a few steps back before you reach the top. Quantis and WRI created a tool that simplifies the Scope 3 assessment process so any company can get started. The Scope 3 Evaluator is a free online tool that measures your scope 3 hotspots. The tool delivers a good estimate, so it’s not designed for long-term tracking; however a few hours of data entry will give you an estimate of your overall footprint and identify where you should dig further. Starting here will save both time and money. What are the key environmental issues in your industry? Who are your stakeholders? What do they expect? Do you have a materiality assessment? What will happen if you don’t act on climate? With a full corporate footprint and climate risk analysis, you can identify your climate hotspots and focus your efforts on what’s most relevant. 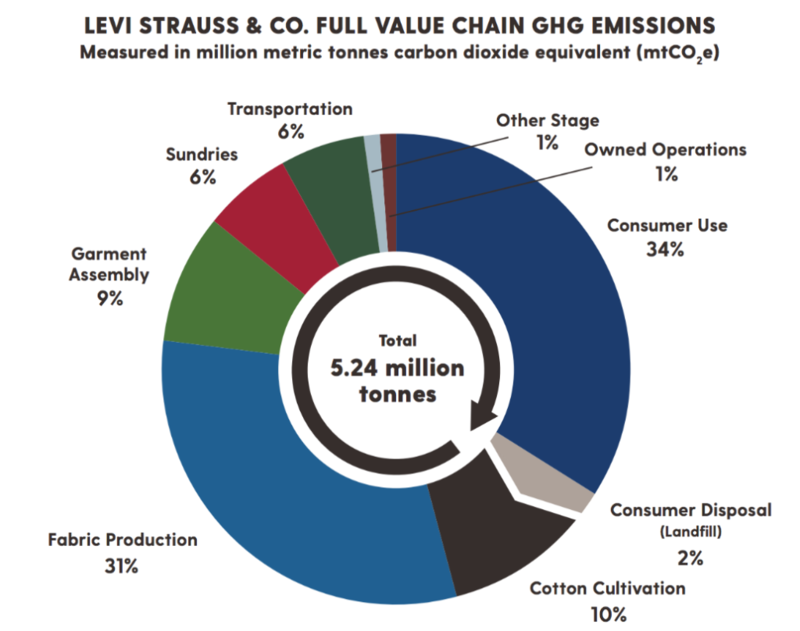 When Levi’s ran a full value chain assessment in 2016, it was able to set an ambitious target of 40% absolution reduction in GHG emissions across its global supply chain and concentrate its reduction efforts in key areas including its fabric mills in China. 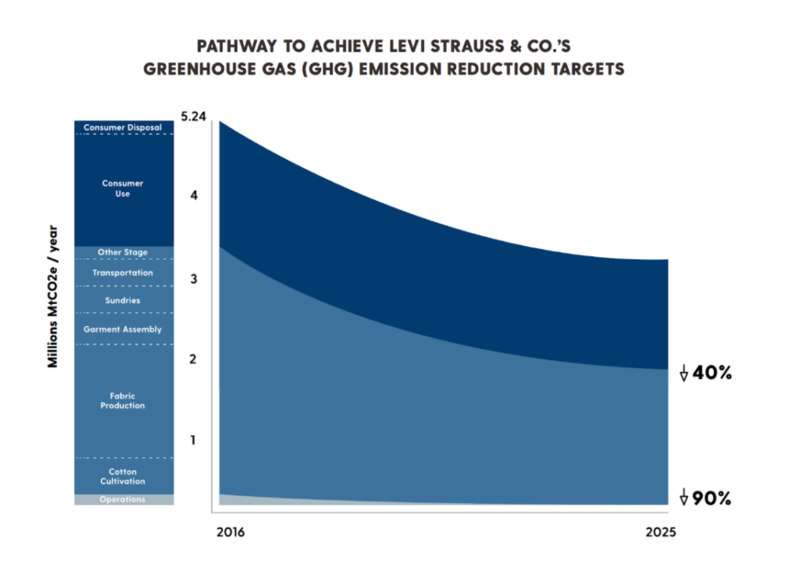 To learn more about this, listen to our webinar in which WRI’s director of climate mitigation Cynthia Cummis shares insights from Levi’s journey. When you’ve assessed your footprint and risks, there’s one final step to activating your climate strategy – bringing the executive team on board. To get buy-in, you need a clear and persuasive business case for an ambitious climate strategy. While there are many benefits to setting bold commitments, it’s your job to know your company and identify which reasons will resonate with your C-suite. A bold climate strategy can grow your brand’s credibility, attract talent, foster innovation, mitigate risk, build investor confidence, drive supply chain efficiency, and give your company a competitive advantage. With a growing number of solid case studies, you can help your executive team grasp the value of an ambitious commitment. By focusing your environmental strategy on climate, you’re addresses the most urgent reduction needs while learning from this process to set other environmental goals. To learn what it looks like to go bold on climate, tune in to webinar 2/3 ‘SET goals aligned with science + build your climate action plan’ to hear IKEA, WWF and WRI share insights and success stories on SBTs and building an ambitious climate roadmap. Interested in targets beyond carbon? Webinar 3/3 ‘GO BEYOND carbon toward planetary boundaries and context-based goals’ covers other key environmental issues such as water, biodiversity, land use change, and more. If you’re looking to get started, our climate strategy lead Charlotte Bande will be your guide.